"The passing years had not diminished Asmat's beauty. Time had painted some grey in her hair and etched a few lines on her face. But it was the same dear face, the same trusting eyes. She had been brave, giving him strength at night when they lay beside each other in silence, darkness closing around them, and during the day when he was home working or reading and she passed by, her anklets chiming, her ghagra murmuring on the floor. Islamic law allowed four wives, but with Asmat, Ghias had found deep, abiding peace. There was no need to even look at another woman or think of taking another wife. She was everything to him." I love novels which open with a birth, for what better way to start a story? 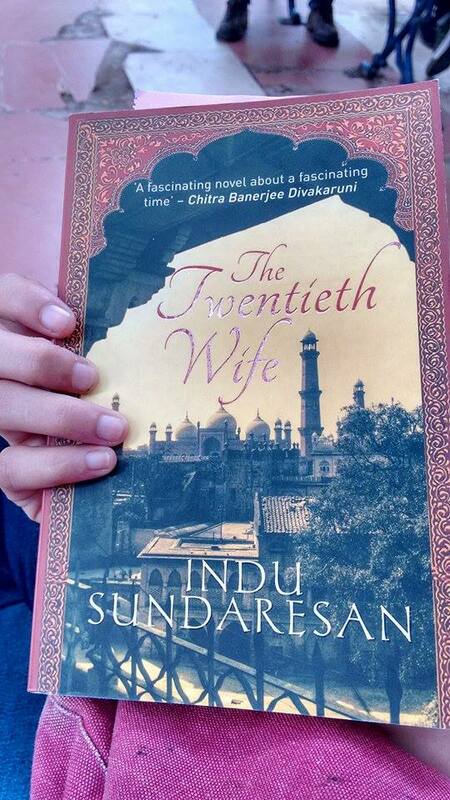 The Twentieth Wife by Indu Sundaresan begins with a small family fleeing from Persia to seek refuge in India. On their way, Asmat gives birth to a baby girl. Ghias Beg, the father, already burdened by three children, decides to give up the baby. He abandons her under a tree but fate brings the baby back to her parents. A delicate child with azure eyes, they call her Mehr-un-nisa. Sun among Women. Eight years in the future, Mehrunnisa is a sprightly kid, with a sharp mind and a keen interest in the world around her. Her father's favourite, she is stubbornly independent. Ghias has earned a position of respect in Emperor Akbar's court, in Mughal India. Today he is invited with his family to the Royal Palace for the first wedding of young Prince Salim. Little Mehrunnisa is smitten by the prince. 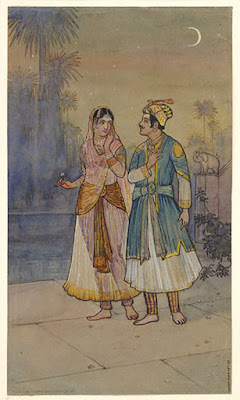 When Empress Ruqayya takes a liking to her and commands her to visit the palace regularly, Mehrunnisa fantasises of a possible future with Salim. 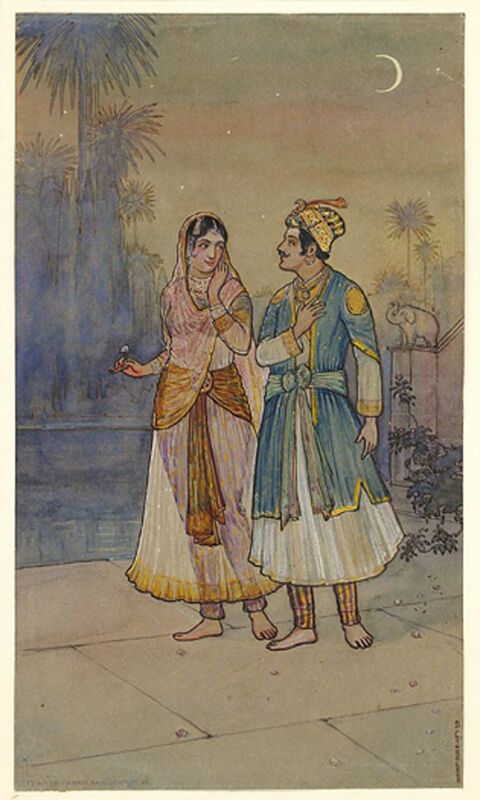 But before their love can fully blossom, Mehrunnisa is married off to a common soldier. And so begins a lifelong struggle with destiny for Salim and Mehrunnisa - better known to us as the fourth Mughal Emperor Jahangir and his influential Empress Nur Jahan. Though the first in a trilogy, this novel works as a standalone. Indu Sundaresan has beautifully fleshed out the legendary romance, doing justice to the people and the magic of the late 15th to early 16th century India. She has left no stone unturned in bringing to life Emperor Akbar's court, with his celebrated aura, his many wives and their struggles for the spotlight, his patronage for the arts, his big heart and bigger ambition. Salim is a spoilt prince. He starts out a drunkard and a rebel, coaxed by Akbar's ill-wishers. But over the course of the story, he sobers down to the best version of himself. History tells us that, like Akbar, the fourth Mughal ruler too achieved admirable feats. Sundaresan shows us how. Mehrunnisa is not without her faults. It would be foolish to expect her to stand as some ideal of feminine empowerment. But she possesses great passion and drive. A large portion of her attraction to Prince Salim has to do with the power that being his wife would grant her. She is grounded in reality, uses her beauty to woo him; then, unconditionally, immorally, supports him through his mistakes. Circumstance requires her to be wily and she is. But later, Sundaresan ensures that we see why Salim loves Mehrunnisa, beyond the looks. What starts out as a Cinderella story progresses into a bonding of minds. Sadly, the book seems to have been marketed as just a romance, when there is a lot more to it. It is about Salim's transformation from a lazy brat to a good leader - Merhunnisa's from an idle dreamer to a woman who works to get what she wants. They journey on independently until their paths cross once again. More than half the book is devoted to sieges, wars and the conflicts of inheritance between Akbar and his sons. Sundaresan muses on the social and religious demands of the times, the tongues of corruption in the court, the increasing threat of the British colonizers. There is drama, oh yes, but the book is not what people love to scoff at and label "chick-lit," as the cover blurb implies. To anyone not already familiar with the cast of this story, though, the names will be confusing. Right in the middle of the book, Sundaresan begins to refer to Salim as Jahangir, the title he adopts. A shortened family tree at the start of the book tells that Salim's son Khurram is actually the future Emperor Shah Jahan. And Mehrunnisa's niece, the one engaged to young Shah Jahan is none other than Mumtaz, for whom he erected the Taj Mahal. Only at the very end of the book are we explicitly told that Mehrunnisa is Nur Jahan. A nice trick, I suppose. Sundaresan's research is evident in her attention to historical detail. But I wish she had stuck to one set of names. 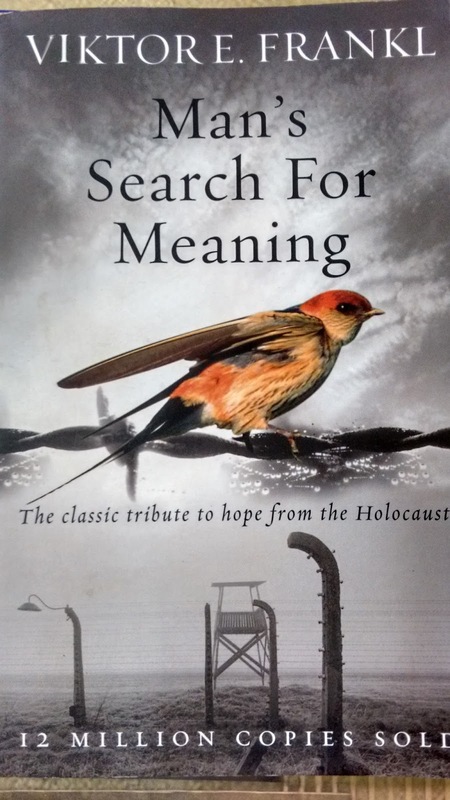 That aside, what a lovely book. Swift, engrossing and richly atmospheric, The Twentieth Wife by Indu Sundaresan gives a neat glimpse into one of the most fascinating periods of Indian history. Summary: Roland Mitchell is an American scholar, out of place in the British academic world. He is studying the life of the Victorian poet laureate, Randolph Henry Ash, when he happens upon two letters addressed to an unknown woman, whom Roland suspects to be a minor supposedly lesbian poetess, Christabel LaMotte. Roland begins to suspect a love affair between the two, that if discovered would change the way the world sees both the poets forever. Stealing the letters, Roland enlists the help of Maud Bailey, a fellow literary scholar and distant relative of Christabel LaMotte, to uncover the truth. Together, they become obsessed with the poets' stories, even as they try to keep their research a secret from rival scholars. Possession is a tragic but ultimately hopeful tale. My thoughts: Possession by Antonia S Byatt is one of my favourite love stories. The movie is different from the book in many ways, the most conspicuous being this whole new and jumpy version of Roland Mitchell in the form of an unavoidably American Aaron Eckhart. This adaptation only grazed the surface of what the story has to offer, and yet, I did like it. Why? Two words, Jeremy Northam, previously known to me as a rather nice-looking Thomas More on The Tudors. He makes a wonderfully solemn Randolph Henry Ash and Jennifer Ehle is an unbridled beauty with a right-out-of-a-painting look. They are a perfect portrait of the two poets, who get much more 'screen time' here than in the book. In the film, you catch Ash and LaMotte impatiently awaiting the other's letters, staring at each other with that tinge of a smile, making the sort of passionate love that cannot be contained in pages. Neil LaBute has created for them a vivid world that even Byatt did not manage to fully build with her prose. When Randolph Henry Ash talks with that rich voice of his, you want to stop and listen, and the Christabel LaMotte of the movie makes it hard for you to look away from the screen. They awaken the romantic in you. You want them to live happily ever after, which makes it so much harder when they don't. "It surprises me, Madam, that a lady, who lives as quietly as you do, would be aware of my modest success." "Oh, I am very aware the papers herald you weekly. It is you, however, who surprise me." "Judging from your work, I'm surprised you would even acknowledge my existence. Or any woman's, for that matter, since you show us such small regard on the page." "I'm sorry. I only meant to scratch." The same cannot be said for Maud and Roland, even though the tension between them is palpable. In the book, Maud is a woman who has been trapped by her own beauty, who has cocooned herself in an attempt to fight men's need to possess her. Roland's struggle is to free her from the uncanny figurative bell jar, that curiously features on the cover of the book. In the movie, it is often difficult to make out what, if anything, lies beyond Paltrow's stony composure. Maud and Roland's on-screen relationship leaves something to be desired. But Possession is more than the two pairs of lovers. It is about the precarious nature of all relationships, about the time it takes for one to collapse and the destruction even momentary happiness leaves in its wake. It is about unrequited passions and unsaid promises, and one of its best played characters is that of Christabel's old lover, Blanche. The movie is nowhere near subtle. It is a satirical look at the literary world with its grotesquely one-sided cast of academicians. They all fight for recognition, poring over dead writers' lives with a voyeuristic greed and no concern for privacy or emotion. A character I really missed from the book was Leonara Stern, the feminist scholar, who is the living embodiment of wishful conclusions. Often enough to cause alarm, the drama threatens to become a mawkish display that does seem odd in this century, and yet, suited to a world of past-diggers. It begs to be made fun of. In the movie, unlike the book, it is unclear whether the farce is intentional. Possession must have been a difficult book to adapt. So much of its beauty and intellect lies in its linguistic nuances. The film is a really good effort, with moments I want to watch over and over, scenes I am so glad I now have visuals for. But to me it was just a three star adaptation of a five star book. Go for it if you have read the book or if you like romance of every kind. Or you can simply watch it, like me, for a swoonful of Victorian charm. This week's Top Ten Tuesday (The Broke and the Bookish) topic is wonderful. As usual, though, my top ten list has fewer than ten items. In today's post I talk about the seven popular fairytales I want retold and how. To be honest, I haven't had time to look up and reread each of the fairy tales, so I can only hope the details match up. The lovely image below is from the portfolio of "jannoon028" at FreeDigitalPhotos.net. 1. Rumpelstiltskin from the point of view of Rumpelstiltskin - The eerie story of the dwarfish creature who helped a young woman turn hay into gold in exchange for her first-born baby as the future Queen was a favourite childhood fairytale. But he was so mysterious, we never found out why he did what he did, how he knew the woman would become Queen, whatever he wanted the baby for and why on earth he was called Rumpelstiltskin. It would be great to find some answers. 2. The Little Mermaid with the prince giving up his legs - That's right, I want Disney's Ariel with a happily ever after that not only has no sacrifices but I want the prince to become a merprince for her. Andersen's ending for the little mermaid is beautiful, her sacrifices and the gift she receives for not killing her prince are all magical. But this way, the fairy tale will still be beautiful, and modern and much happier. 3. Red Riding Hood where no one dies - This was my least favourite of Grimms' fairy stories. It has no concept of redemption. In some versions the girl dies, in others, the wolf is killed. I want a retelling where both Red Riding Hood and the wolf are taught their lessons without any bloodshed and maybe someone tells Red's mother not to send her alone through a freaking forest and visit the grandma herself instead. 4. The Ugly Duckling the other way around - All of Andersen's fairy tales have nice moral endings, without much open-mindedness. I mean, of course, the swan realized it was beautiful, that's because it was. I want a story of a duckling who finds himself with swanlings and is convinced he isn't beautiful until he finds his true family. Now that will be a much more satisfying story about misfits. 5. Beauty and the Beast with a better father - Fairy tale fathers are always conspicuously absent, either dead or too weak to care, and the princesses are inevitably completely attached to them nonetheless. Like in Rapunzel, Beauty's father enters the Beast's palace to pick a pretty rose for her, but when caught, he exchanges places and abandons her with the Beast. This is my favourite fairy tale, for its surprising character depth and all the elements of the Cupid and Psyche myth, but we need better fairy tale fathers. Father rescues Beauty, but she must go back as she is in love with Beast - something of that sort. 6. Hansel and Gretel with an alternate ending - Does it ever occur to anyone that Hansel and Gretel are two spoilt brats who never learn a lesson? I mean, even their father abandons them and all they do is go eat this woman's house, eventually drive her away from it and finally steal her treasures. And all this mischief when the witch is just minding her business in the middle of nowhere. 7. Sleeping Beauty from the point of view of Sleeping Beauty - This one is probably the hardest and most curious one on my list. But it is the only fairy tale that has an ending that brings so many questions to mind. I would love a retelling of Sleeping Beauty that focuses on either her lost years - was she dreaming? Whatever was it like to be asleep for all those years? 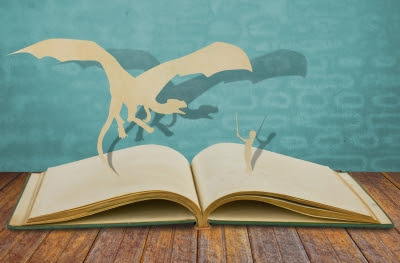 Which fairy tales would you like retold? Any fairy tale retellings you'd recommend?